MASI (Military Adaptive Sports Inc.) will work to build on the success of the Invictus Games 2014 held in London. MASI was created with the express purpose of bringing the Invictus Games to America. Ken Fisher is Chairman of the Organizing Committee for Invictus Games 2016. 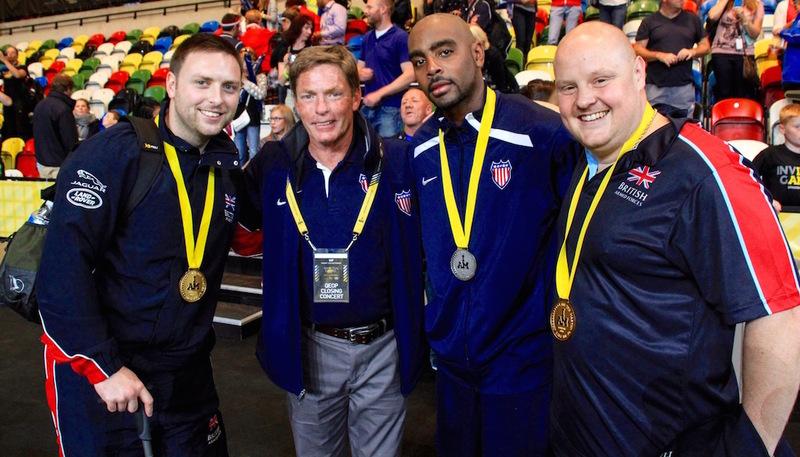 Ensure the Invictus Games Orlando 2016 harnesses the power of sport to inspire recovery, rehabilitation and generate a wider understanding and respect for those who serve their countries and their families. Provide a vehicle for wounded, ill, and injured Service members – both active duty and veteran – to continue achieving their physical, emotional, mental & spiritual goals. Showcase the unconquerable spirit of the world’s wounded, ill, and injured Service members on an international platform to inspire others to be: Invictus. The Invictus Games were created by Prince Harry after a 2013 visit to the US-based Warrior Games – a sporting competition for wounded, ill, and injured Service members – where he witnessed the important role sports played in improving the lives of Service members and their families. “Invictus” means “unconquered” and embodies the fighting spirit of the wounded, ill, and injured Service members and the incredible will they have in order to overcome. Ken is Chairman of the Organizing Committee for Military Adaptive Sports Inc. (MASI), the not-for-profit corporation founded to organize and host the Invictus Games Orlando 2016. With a long commitment to active duty personnel and veterans, Ken and the Board of Directors of MASI are focused on building on the momentum from the Invictus Games London 2014 and hosting an extraordinary event for the competitors and their families. Ken’s involvement in support of active-duty personnel and veterans dates back more than 25 years. He is Chairman and CEO of the Fisher House Foundation, a not-for-profit organization that constructs “comfort homes” for families of hospitalized military personnel and veterans.